No doubt about it, housing is a headache for many young people today. The dramatic fall in the home ownership rates of the under-35s often produces the sharpest pangs for politicians (although as Chart 1 shows, we’ve seen a slight uptick in the proportion of young families owning in the last year or so). But there are other sources of pain as well. 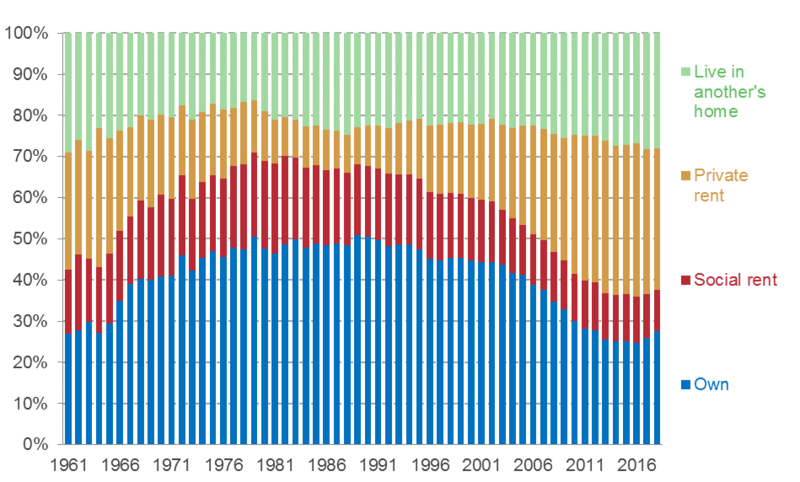 Just as ownership rates have collapsed, so too has the share of young people that live in social rented homes (from 22 per cent in 1981 to just 10 per cent in 2018). As a result more than one in three young families live in the private rented sector today, the least secure and lowest quality tenure of all. Couple this with the fact that millennials are spending a record share of their income on housing and it’s small wonder that Theresa May declared that “solving the housing crisis is the biggest domestic policy challenge of our generation” at conference last month. So what could the chancellor do in the Budget next week to ease the housing headache? Three things might begin to relieve the pain. To begin, Hammond could sharpen up Help to Buy (HTB) – the government’s flagship programme designed to assist wannabe home owners under the age of 40. The HTB equity loans scheme may strengthen young people’s bargaining power and helped close to 170,000 of them buy a home since its inception in 2013. But the programme as currently conceived has a considerable deadweight. 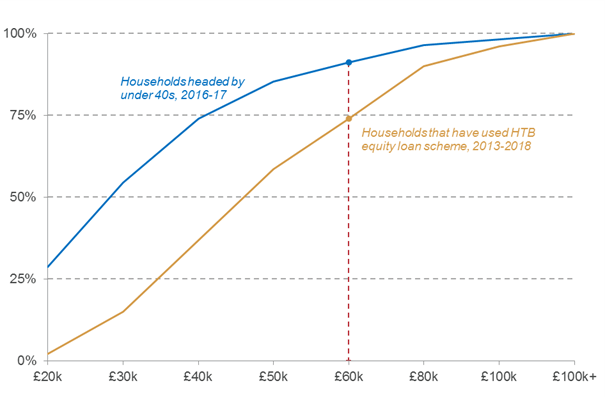 Chart 2 shows that one-quarter of those who have taken out such loans have a household income of £60,000 a year or more, compared to less than one-tenth of under-40s overall. Likewise, the government’s own evaluation suggests that over one-third of buyers with equity loans could have bought without government assistance. Reining in the programme by introducing an income cap of £60,000 per household would mean that the extra £10 billion committed to the scheme last year could be stretched to help those on middle incomes beyond the current end date of 2021. Second, more money to boost the numbers of sub-market homes would show the government is serious about helping renters on lower incomes. We’ll all be looking to the budget for detail on the PM’s surprise announcement last month that the government will lift the borrowing cap on councils: how much extra headroom will this really provide, for example, and when will the policy be implemented? 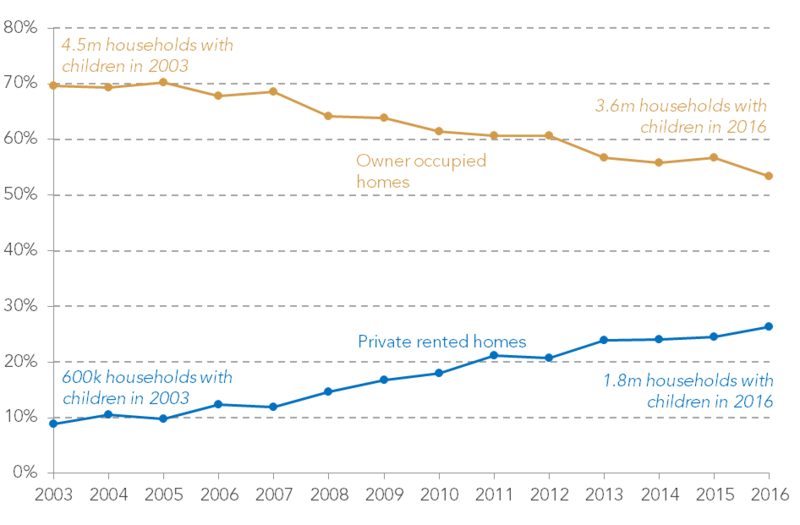 For now, however, funding for affordable homes remains significantly below that available a decade ago (see Chart 3). 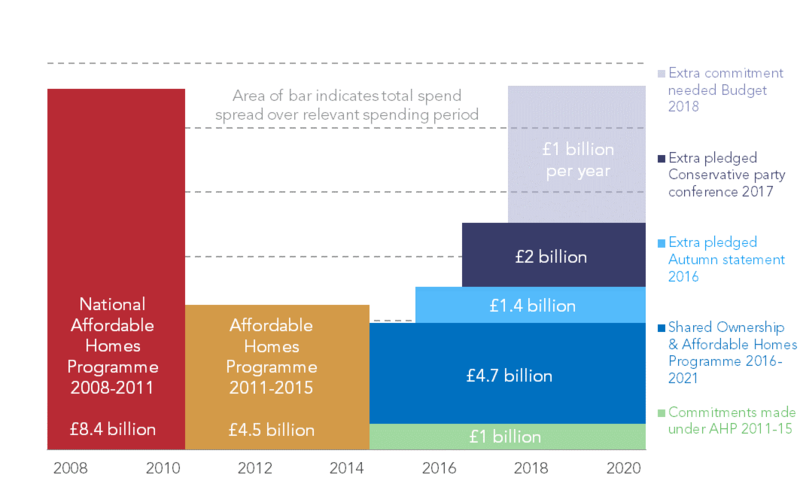 An injection of an extra £1 billion a year from the chancellor would bring funding back up to 2008-2011 levels, and build an estimated 12,500 additional social rent homes each year. Sustained over time, this could offer real relief to those young families in acute housing stress who only a generation ago would have been housed in the social rented sector. Third, the chancellor should do something to help the bulk of young renters who are on neither the margins of home ownership nor the cusp of social rent. He should heed the fact that Generation Rent is growing up and often raising children in homes they could potentially lose with just two months’ notice (see Chart 4). Legislating for indeterminate leases would be optimum (witness Scotland, 2017), especially given government efforts to inspire individual landlords to offer two year tenancies have proved ineffectual to date. In the meantime, however, Hammond could support institutional landlords investing in Build to Rent (BTR) developments where longer leases are the norm. Critically he could exempt the BTR sector from the stamp duty surcharge introduced in 2017, thereby incentivising the building of new homes that provide genuine security of tenure. In contrast to the proposal to exempt landlords from capital gains tax if they sell to a sitting tenant, this policy would help those private renters who most need a stable home rather than those who simply have the good luck to rent from a landlord willing to sell (and the money, of course, to avail themselves of the opportunity). Of course, one budget cannot solve a housing crisis that has been many years in the making. But with the government finally alert to the many problems that young people encounter when it comes to housing, intelligent action from the Treasury really should be on the cards. Here’s hoping that 2018 is the year when the chancellor doesn’t simply put his hand to his brow when it comes to housing, but swallows the bitter pill of tough policy choices instead.